First steps - first shoes! Attipas - the science of walking! 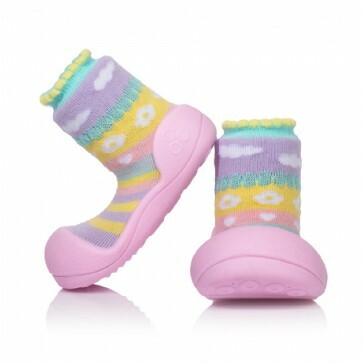 Stylish and cute pink shoes for baby girls that every little princess will love. Embellished with sweet prints of hearts, flowers and clouds. Free Standard Delivery for orders of 2 pairs or more. Free Gift Box with every pair you purchase. Orders before 12 Noon are dispatched same day (excl. weekends). Sweet hearts, flowers and fluffy clouds combined with a cool light-up design boost the charm factor of these Attipas infant shoes. 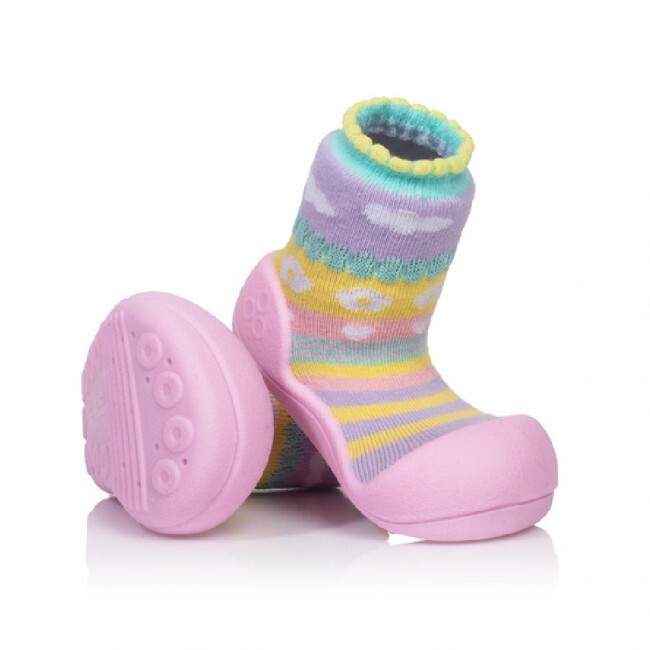 Little feet will stay warm as your baby crawls around the house or garden in this pair of adorable slippers made from supersoft cotton and breathable rubber soles. Designed for infants, toddlers and children up to 4 years old. Attipas - the number one choice for your little one! Machine washable at 30-40°C (hand wash program, laundry mesh bag and air dry recommended). Avoid bleaches and harsh biological detergents. If you are looking for a thoughtful, beautifully made and just-a-little-bit-different gift idea for christenings, kids' birthdays or Christmas, look no further than our Attipas ergonomic shoes for children. 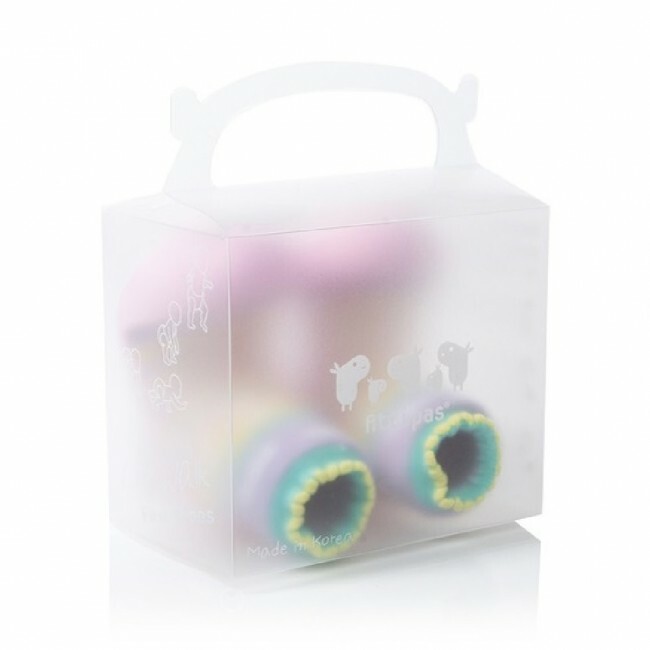 Every pair of Attipas baby shoes is carefully packaged in a well designed, attractive gift box. Aside from being the ideal storage solution for our Attipas stockists, these semi-transparent boxes also make pretty and unique gift packaging for our customers who appreciate style and convenience. Now use this measurement with the size chart (second column) to find the correct size. (For example, if your child’s foot is 120mm long it means that the correct size is L). Attipas shoes are becoming more and more popular across the globe. Now they've made their Hollywood debut, given out to every celebrity at 2017's 89th Academy Awards as part of the luxurious Oscars gift bags. Copyright © 2017 Alexino Trading ltd. All Rights Reserved.